Leverage in trading is something common to speculators. Although there are many who don’t like the word, the fact remains that without leverage, it would be impossible for many retail traders to trade forex. You can start practicing and learning how to use leverage in forex on a $10,000 demo account. Usually, beginner traders are presented with the choice of selecting their leverage when they open a demo account. At that point, the trader obviously doesn’t pay much attention to what ratio he or she actually wants. You need to choose the right leverage based on the trading capital you have. Once you go for a live account, finding the right balance on the leverage you choose is important. The correct leverage will help you trade better, and most importantly, it will allow you to trade comfortably and help you keep your risk/money management in check. To answer this question, we need to discuss the basics of leverage. In short, leverage helps the trader control larger positions without the need to make higher deposits. For example, a trader with just $1,000 investment can easily control positions worth $100,000 by choosing a 1:100 leverage. Remember, there is no magic number when it comes to choosing your leverage. You need to look at how much capital you wish to allocate in trading and your trading style. You can choose a smaller leverage ratio, which will obviously limit your trading position, but at the same time, a smaller leverage helps you stay more conservative. On the other hand, you can select a higher leverage and control larger positions. This is more aggressive style and requires much more skill to manage. 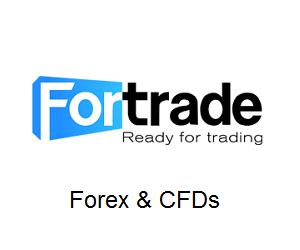 You need to keep in mind that trading forex with large leverage can quickly magnify your losses. Simply put, higher leverage allows you to trade larger contracts or lot sizes, while smaller leverage allows you to trade smaller contracts or lot sizes. Leverage is one of the essential aspects of risk. The risk is often defined as the amount of money you can risk or afford to lose when you are trading. As you can see, with smaller leverage, you can trade smaller positions. Thus, your risks are also limited. Traders should not think that only those with small capital should choose smaller leverage. In fact, the opposite is true. If you are trading with a capital of $100,000, then choosing a leverage of 1:20 or up to 1:50 is a better, more conservative way to trade. The best way to understand risk is through an example. Let's say you are trading a GPB/USD pair and you have placed your stops about 50 pips from your entry. If you were to trade a mini lot, which is 10,000 units, then this translates to risking just $50 on your trade. Now, imagine your trading capital was $5,000. Based on this capital, a $50 risk on your trade roughly translates to a 1% risk on your trading capital. Traders have different risk levels, although the widely accepted fact is that a trader should not risk more than 1% of their capital on a trade. How much you can risk on a trade depends on many factors, including your capital, leverage and trading strategy. Position sizing, as the name suggests, deals with the basic question of how many contracts or lots you should take in a trade. This money management concept states you basically start with your risk profile. In fact, position sizing looks at risk backwards compared to the previous section about leverage. Let's say you have $5,000 capital, and you want to risk 1% per trade. This means your risk is $50. Now we have the risk amount, the next step is to look at the stop loss. For example, you set your stop loss at 100 pips and your risk amount is $50. Dividing these two, we know that the value of 1 pip is now $0.50 (a 100 pip move equals $50). We then multiply the 10,000 units (mini lot) by the pip value, and the total number of lots that a trader can risk is 5,000 units. Therefore, to stay in your comfort zone with a 1% risk, you should not trade more than 5,000 units of the currency pair. Traders can set their stop losses either based on their lot size or on the risk amount. If your trading strategy requires you to set up a rather large stop loss, then the best way is to reduce the number of lots. This way, position sizing and risk management can help you control your risk while following the rules of your trading strategy. In reality, however, traders do not pay much attention to risk factors, which often results in a losing trade eating up whatever profits they previously made. One of the biggest advantages of following good money/risk management principles is that it allows you to keep the profits the markets make for you, while ensuring you do not lose more than you risked. This can happen only when traders spend enough time learning the basic concepts of risk management and position sizing. With enough practice and proper dedication, traders can easily master these techniques. As a forex trader, first you must learn to control your risk, and then you can expect some profits to pour in.